This is an email I have received from Trevor Davis, ex Bluecaps. Johnny Taylor 5, Selection Soul Band and the Victors. I have been giving this book idea some thought!! any experience in the book world but how difficult could it be!! winner and don’t expect sales in areas other than localised interest. site and book production so at the out set - no wages either!!!! show that we were there when it all started!!! information to put something together. Any suggestions for a book title would also be appreciated. account of what you did, where you played and your memories. photo of each band you played with would be sufficient . always meant to do it one day didn’t you!!! don’t have any issues about being included in the book . but now the famous Victorian and Edwardian street scene at York Castle Museum could itself become a thing of the past. The museum's directors want to replace the current features with a new exhibition, looking at British life as it was in the 1960s. They say the current scene has become "rather tired and drab" and are replacing it with one that explores "an iconic period that many people will remember", but the move has drawn criticism from at least one tourist, who said the loss of attractions during the work has left visitors shortchanged. In a letter to The Press, Mr J Howe, of Oxfordshire, wrote: "I left after my recent visit feeling very disappointed by what was once a museum that appeared to have some sort of direction and objective - a Jewel In The Crown Of York. I fear that accolade has now been lost, in my opinion, and would certainly expect the local residents to make their views heard if they care about the museum and its place within the community." But Janet Barnes, chief executive of York Museums Trust, said: "In recent years, we have worked hard on improving York Castle Museum, with the famous recreated Victorian street, Kirkgate, and the concourse area being significantly improved. "The sixties exhibition will offer visitors a new and exciting space to explore, looking at one of the most explosive decades in recent times. "Just like Kirkgate was built in a time when many people would have remembered the Victorian period, we are now offering people the chance to look back at a time which, to many, is in living memory." The five-year exhibition will look at iconic and everyday aspects of the era. Gillian Cruddas, chief executive of York Tourism Bureau said: "It's really important for York that our visitor attractions move with the times and the city's tourism success is built on the fact that York never stands still - we always have something new and different to offer and that's the key to our success. "Both young and older generations have a fascination with the 1960s, it was an iconic age. We're confident that York Museums Trust will make an excellent job of this exciting new exhibition and that its appeal will stretch far and wide." The Edwardian half-moon court was opened in 1963, but Ms Barnes said the recent refurbishment of Kirkgate had left the Victorian street and the Edwardian court very close, and many visitors were unable to distinguish between the two eras. As of today Vintage Sixties Live has had over 50000 hits on YouTube in the eight months that I have been uploading the Club Night video clips. We have had complimentary comments and emails from all over the world (and a few which weren't but I deleted them) - not 'arf!! This notice appeared recently on the Fortunes' Official Website. Rod has asked me to inform you of quite a serious health issue which he is, unfortunately, having to face. Whilst it will not mean any lengthy stays in hospital, it will however, mean that he will require some quite debilitating treatments. This means he may have to miss some performances. Ever aware of his commitments to Fortunes fans, Rod has already arranged for a couple of well known, excellent singer/bass players to stand in for him if needs be, whilst he recovers from the treatment. Knowing his strengths, I would not be surprised in the least if he took it all on the chin and didn't miss a single show! I am sure you would all like to join me in sending our best wishes to Rod with hopes for a full and speedy recovery. 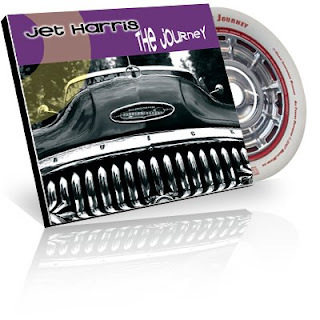 If anyone is searching for ideas for a Xmas stocking filler why not have a look at the new Jet Harris Album - The Journey. Price £9.99 and it includes a track dedicated to fellow ex-Shadows founder member and recording colleague Tony Meehan who passed away in November 2005. It is great to see Jet recording again as well as packing them in at his current gigs and receiving rave reviews at his public appearances for his tongue in cheek humour and outstanding musicianship. Long may it continue. Continuing the international flavour of our blogs these days, I received this pic recently from Bojan, who lives in Serbia. Taken in 1964, it features Belgrade group Samonikli. Bojan is the good looking guy at the bottom. 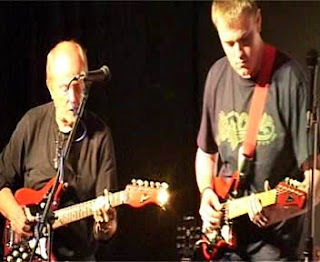 The lead and rhythm guitarists both used Eko 700 guitars as seen in the pics. Bojan has also kindly allowed me to publish an audio file which demonstrates what a fantastic sound they had. The recording was made in a professional Belgrade studio at around the same time. The song is an old Russian song called "Lonely Accordion" which they updated and called "Lonely Guitar". Our Angie's version of the old Dusty Springfield hit "I only want to be with you" is the first of our club night video clips to smash the 2500 hits barrier on YouTube. Well done to Angie - and also of course to Kev, Mark, Dave and Colin the Orchestra for providing the backing. For those who have not seen it yet - here it is. 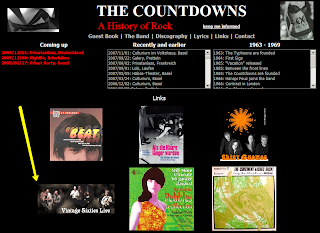 This is the links page of Swiss Group The Countdowns who have been successfully recording since the Sixties and are still gigging today. 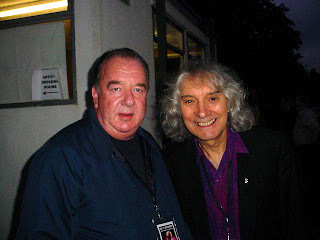 Our paparazi have been out and about again and this time they brought back a snap of Big Jim Tait with the world's greatest guitarist .... Mr Albert Lee. 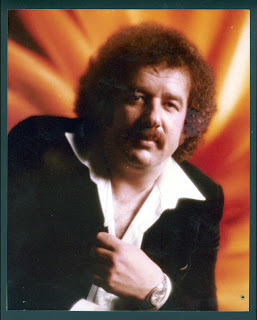 If you are wondering why Albert is laughing so much, it is because he had just seen this pic of Jim in a former life. Albert will be back performing in the North-East in May, but the tickets are already being snapped up so watch this space for further details. In the meantime why not cut out the pic of Jim and put it in the bottom of your budgie's cage. Kenny rang me this morning to say that he was out of hospital and feeling fine. He had the choice of a triple by-pass or three stens and he opted for the three stents. He is still on loads of medication, but expects to be back driving his car in a week or so, although obviously he won't be allowed to drive a bus for at least three months. He thanks everyone for the good wishes and support and for the get well soon card sent from Thursday's club night. He has spoken to Barry Waller who has agreed to come back in March for the postponed reunion which is something we will all be looking forward to. 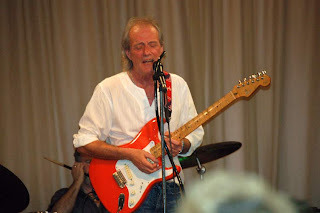 Rock on Kenny - welcome back to the world of Vintage Sixties Live - we missed you mate. British people believe the UK music charts have lost credibility and reflect the marketing power behind overhyped artists rather than the nation’s musical tastes, a poll has found. Almost three quarters (74%) of British people believe the importance of the UK music charts has diminished in recent years. Almost half (40%) believe the “stars” of shows like the X Factor lack real talent and 65% condemn reality TV talent shows for creating a generic style of music. Most people (82%) believe that true musical talent is being overshadowed by hyped sales of stars with less ability. Most people (93%) have more respect for singers and bands who make it through word-of-mouth like Lily Allen and the Arctic Monkeys than reality TV stars. Anyone who is in to our kind of music could do a lot worse that buy this CD/DVD package, originally released by a friend of mine two years ago for the 60th Anniversary of the end of World War II. It is being made available again to help raise much needed funds for the Royal British Legion Poppy appeal. For those still not quite convinced here is a taster, but obviously the quality is much better on the actual DVD. The package not only contains the DVD with archive war footage, and the added bonus of narration by Bobby Knutt on one of this tracks, but also a CD with full backing tracks. Or you can order online from the excellent Leo's Den website here for £7.95 inc P&P. Go on then - treat yourself - and raise some money for a very worthwhile cause at the same time. 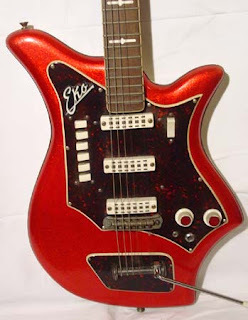 No sooner have I almost recovered from the shock of having Jet Harris sign our website guestbook than I get an email from another Sixties musician who was, and still is, a hero to many guitarists of a certain age. 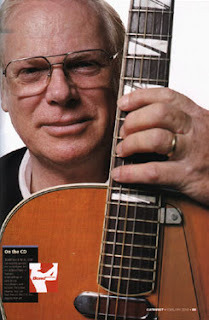 Vic Flick is perhaps best known for his legendary guitar work with John Barry on the James Bond Theme. John Barry was impressed with the way he managed to combine showmanship with an amazing technical ability. 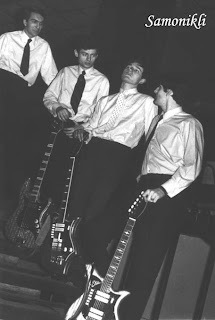 By 1960 he had become on-stage leader of the Seven, as Barry worked his way to composing more music off stage, and less touring with the group. Flick's debut track as a composer was the outstanding "Zapata" including his highly innovative signature "fade-intro" sounds. Writing new music, and increasing time as a session player, made him a highly sought after freelance artist, even as he toured with the Seven until August of 1963. Flick has worked alongside Burt Bacharach, Herman's Hermits, Tom Jones, Henry Mancini, Jimmy Page, Cliff Richard, Diana Ross, Nancy Sinatra, and countless more legendary recording artists. Flick, who resides today in Santa Monica, California, has written for television and films since those British recording studio days, serving variously as both composer and conductor.John Barry-scored films also relied often on Flick's lead work, including six of the first seven "Barry Bonds" for United Artists. Flick's memorable Spanish guitar strains for "From Russia with Love's" splendid gypsy camp battle and dance scenes, for one notable example, bring the film much of its provocative moody feel when combined with Ted Moore's haunting cinematography and Sean Connery and cast's stellar onscreen performances. Flick's work on banjo gave a peppy feel to the "Goldfinger" soundtrack, which set numerous milestones as the most popular movie soundtrack album ever recorded, and the Barry/Bricusse/Newley title track is well covered here.For the top recognisable tune of modern times, John Barry had but a few short days to arrange and record "The James Bond Theme" with his Seven plus an orchestra, getting a phone call on a Saturday and cutting the first take the next Wednesday, just three weeks before "Dr. No" opened in 1962 to enchanted audiences worldwide. 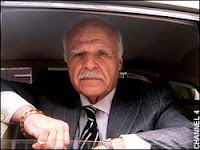 Flick's lead on the tune helped drive three generations and half of the world's population to see the Bond movies. You can catch up with all the latest news about Vic on his excellent website at http://www.vicflick.com/ . I found the sound files containing reminiscences from the Sixties session scheme especially fascinating. You can find them here. "Nostalgia Ain't What It Used To Be!" 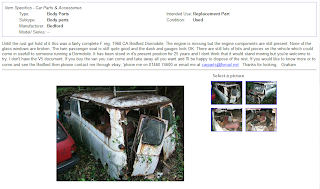 I stumbled upon this site this morning. 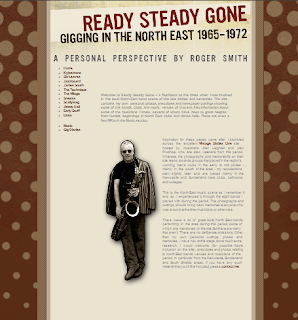 It is well worth a browse for anyone with an interest in North East groups. Roger is an old friend of ours having supplied most of the info on Jazzboard in the Remember the Groups section on our main web site which, according to Roger inspired him to create his own. How flattering is that? He now lives in Wiltshire but hopefully, he will be able to come to one of our club nights sometime. He certainly has an enviable pedigree having played in some of the best groups ever to have come out of the North East. 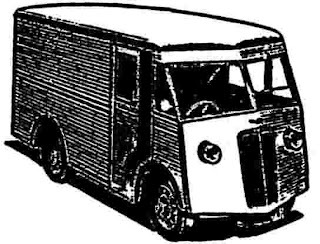 As we are on the subject of group transport - I just had to give you another opportunity to watch Big Jim's hilarious tale of the New Year's Eve they were booked at Tow Law Club. 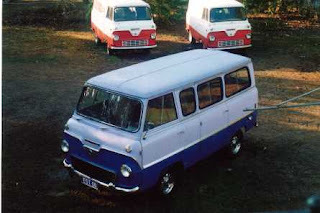 Here you go - just the vehicle - the Bedford Dormobile. But don't be surprised if the rear springs need replacing. We had one of these. It was all we could afford 'cos we were crap. £28 it cost. Heh! Heh! We eventually abandoned it on the A1 when it conked out - again. It is with great sadness that I have to announce the recent death of Dennis Trowbridge. 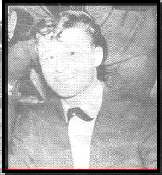 Dennis was a founder member of Teesside Sixties Group the Kalvins - a fact of which he was justifiably very proud. Although I never got to met him personally we did occasionally exchange emails and Dennis never lost his love of Sixties music in general and the Shadows in particular. He also helped me a great deal with the website by providing pictures and information about the Zephyrs and other local groups of the time. You can find some information about his early career on the Kalvin's page on our main web site. Our sincere condolences go to Dennis's family at this difficult time. Rest in peace mate - you will be missed by many. It was only a couple of weeks ago at the September club night that we were delighted to welcome a couple of the Shadocasters - the Tyneside Shadows tribute group - for the first time. Dave Watson, the lead guitarist, treated us to an excellent version of Shadoogie. Well guess what turned up today? Only a clip of Dave's son appearing on Jim'll Fix It way back in 1990 - actually playing with the Shadows themselves! Seems like musical talent runs in the family. Does your son still play Dave? A MAN who became synonymous with North-East club land has died at the age of 75. Jack Amos, who was known as the Jack of Clubs, lost his fight with cancer at his home in Blackhill, near Consett, on Saturday. He had previously overcome lung cancer when it was first diagnosed, in 2002. The Consett-born local newspaper journalist first became involved in the North-East social/workingmen's club scene when he was asked to help to publicise a local club, Shotley Bridge Victory Club, and within two months was made its secretary. He went on to become elected as Durham CIU branch secretary as well as holding a seat on the CIU national executive committee. He served in both posts for 21 years. Mr Amos was made an MBE for his services to the region's clubs in the Queen's New Year Honours. A well-known charity champion he used his club links to arrange many fund-raising activities for the good causes he supported. Mr Amos leaves a widow, Flo. They have a son, Gary, a daughter Janette, and three grandchildren. A MEMBER of pop group The Dave Clark Five - which sold 100 million records and once rivalled the Beatles - left just £46,000 in his will. 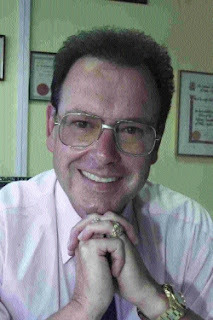 Musician Denis Payton moved to Bournemouth and became an estate agent after his chart success. He died aged 63 last December after a long battle against cancer. A founder member of The Dave Clark Five, he played saxophone, harmonica and guitar. The band once rivalled the Beatles and was one of the first English groups to tour America, spearheading the "British invasion" of 1964. The group sold more than 100 million records and had 30 hit singles worldwide including Glad All Over, Bits and Pieces and Over and Over. Payton, who also sang backing vocals, became an estate agent after the band split up in 1971. His will left the bulk of his estate to his partner of 16 years Lindsay Copland, who lived with him in Bournemouth. But he also left his musical instruments to his two sons from his first marriage, Scott and Lee. Scott was left his father's Gibson J45 guitar while Lee receives his Selmer Mark 6 tenor saxophone. Both Payton's sons live in Lower Parkstone, Poole. Payton died just weeks after it was announced that The Dave Clark Five had been nominated for induction to the 2007 US Rock 'n' Roll Hall of Fame. Dave Clark described Payton as being "thrilled" by the citation, saying at the time: "I know I won't be around but it was an amazing part of my life I am very proud of." The famous Mods and Rockers Bank Holiday clashes - this one was Brighton 1964 as shown on ITV. It was, of course, long before my time, being as I am only 34 (inside leg that is)but some of you will no doubt remember it well. I wonder how many police with Lazers, Phasers and Tazers would need to be deployed these days. Sarah was the daughter of Major Ruffer and the bash took place in a marquee at Stokesley. Where are you now Sarah - the lads fancy a return booking. Here is an ultra rare clip from the Ozark Jubilee of the Bill Wimberly house band, with Thumbs Carlille and Curly Chalker taking turns pummeling the old chestnut... wow! And for no extra charge you get Red Foley's rambling, nonsensical outcue. Enjoy! Which ever way his name is spelt - Carlille, Carlisle, Carlyle, Carllile, Carlile - this guy crops up time and time again whenever the subject of guitar maestros is discussed. His unique way of playing came about because, as a child, Thumbs used to sneak into his sister's bedroom and play on her lap steel with a slide bar even though she had banned him. She caught him and hid the slide bar but he still sneaked in to play the guitar the only way he could.........using his thumb as a bar - hence the nickname Thumbs and the rest, as they say, is history. Recently, by pure chance, he cropped up more than usual at Vintage Sixties Live. First of all, Eric Whitehouse turned up at the club night with two of his LPs, which are like gold dust around here. Secondly, I was delighted when, within a couple of days, I stumbled across the above video clip (Thumbs is on the left). And thirdly, I was delighted to receive an email from Thumbs widow Ginny - who is a lovely lady and an old friend of VSL. She said how much she enjoyed looking at the pics on our Web site and how much she wished she could join us in one of our fun nights. Who knows Ginny? - never say never. If you are ever in the UK we would love to see you. BTW - The correct spelling is Carllile. The reason it was spelt the way it was on this 45 cover was that Les Paul - who incidentally played bass on that 45, with Mary Ford playing rhythm guitar, and Les's son, Gene is playing drums. 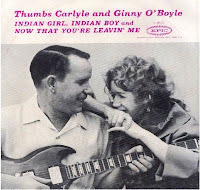 Thumbs and Ginny were living with them at th time and recording some stuff she had written.Les Paul is playing bass on that 45, and Mary is playing rhythm guitar, and Les's son, Gene is playing drums. They were living with them at the time and recording some stuff she had written. 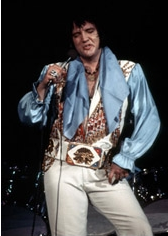 The King may have left the building but his prescription pills are still here: A bottle that contained Elvis Presley's prescription antihistamines was sold this week at an auction for more than $2,600. That's a mighty expensive prescription plan! While the bottle still contained some of The King's original pills, L.A. County police told auction house Julien's that it would be a federal crime to sell the bottle with pills included. Other unusual Hollywood ephemera sold during the auction included a gold-plated gun owned by the Elvis, which sold for more than $28,000; Alfred Hitchcock's passport, which went for more than $19,000; and a prop umbrella once used by Marilyn Monroe for $42,000. The umbrella will become part of the collection of the Museum of Style Icons in County Kildare, Ireland. Not only is this vintage Morris the oldest British police car in active service, it is still keeping drivers in check – more than 40 years after it first joined the force! Old Bill – a Morris Minor 1000 bought in the Sixties – is being used by Lancashire Police to slow down traffic in the village of Singleton. The car is owned by former officer Will Hull, who parks it by the side of the road to promote the ‘30mph or less’ message. By capturing the attention of passing motorists, the Morris makes them slow down. Mr Hull, who served in the police for 15 years, said: “I have more than 40 years’ experience with classic cars, and when I came back as a police community volunteer, it seemed an ideal opportunity to promote the road safety message. Lancashire Police has confirmed that the Morris is the oldest police car on active duty in the UK. Beamed to 300 million people in 30 countries, it is now regarded as one of the defining moments of popular music and the swinging Sixties. 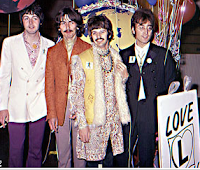 Yet The Beatles' performance of All You Need Is Love for the world's first-ever, live satellite transmission in 1967 drew condemnation from viewers who said the performance had dragged Britain's good name through the mud. The criticism of the Our World broadcast, for which The Beatles specially wrote a song and put together a backing group that included members of The Rolling Stones, Keith Moon and Marianne Faithful, centred on claims that the band was less impressive than figures who represented other countries, including the singer Maria Callas and the artist Pablo Picasso. Documents released under the Freedom of Information Act reveal that a BBC official, asked to assess viewer reaction, wrote in a memo: "There was little specific comment on the separate parts of the programme apart from a volume of angry protests at the choice of The Beatles as one of the UK's contributions." The memo records several comments, including: "This country has produced something more meritorious and noteworthy than The Beatles (much as I admire them)"; "We did not do ourselves justice"; "Have we nothing better to offer? Surely this isn't the image of what we are like. What a dreadful impression they must have given the rest of the world"; "We flaunted The Beatles as the highlight of British culture, no wonder we have lost our image in the eyes of the world"; "After all the culture etc shown by the other countries, The Beatles were the absolute dregs (incidentally I am a Beatles fan), no wonder people think thing we are going to the dogs! "advertisement The BBC, which had spent 10 months planning the June 25, 1967 broadcast that involved 14 countries, did not pass the comments to the band. Instead, on July 3, 1967, the corporation wrote to Brian Epstein, the band's manager, to say that the performance had been highly regarded by the BBC and the audience.Each country was asked to produce two items that symbolised the nation's life and culture. The BBC opted for a four-minute report on the new Scottish town of Cumbernauld and The Beatles's performance, for which the band received £2,000.The documents also reveal that the concert, intended to bring the world together, was marked by bitterness and rivalry.France considered pulling out of the event altogether when it threatened to clash with the televised sports results while American television networks refused to join in because they regarded Europe as a boring irrelevance. Folk who come to our Vintage Sixties Live club night are often confused by some of the sounds which emanate from the stage - (and that is not just when I am on). They often hear woodwind, strings and brass accompaniment produced by a line-up consisting only of guitar, bass and drums and they say "How do you do that?" 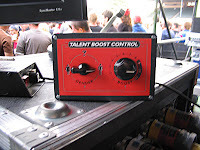 Well the answer is Colin "the orchestra" Woodland and his amazing guitar synth. Using this and the skill gained during a career spanning 240 years, he is able to mimic the sound of just about every instrument in the orchestra fom a banjo to a honky tonk piano. But where did Colin learn his craft? He started out in a group called the Del 5 who had considerable success in the Sixties with tours with Tom Jones, Roy Orbison, Walker Brothers and Lulu. What did they sound like back then? Believe it or not we can now hear for ourselves. VSL spies have managed to locate an incredibly rare audio tape, from a series produced by Tyne Tees Television in 1964, called Rehearsal Room, featuring none other than the Del 5 from Sunderland. To listen to their version of Yakety Sax from the days when you had to have a real sax. Ray Liffen of the MSN Burns Guitar group has kindly allowed me to reproduce this message from that site. 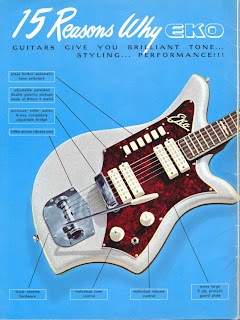 It will be of great interest to fans of Burns guitars and classic Sixties instrumentals. 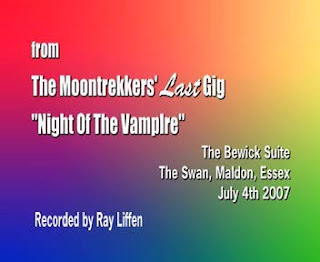 One of THE great '60's instrumentals was 'Night Of The Vampire' by The Moontrekkers (recorded by the legendary record producer Joe Meek in his studio at 304 Holloway Road, North London). The lead guitar part was played by Gary Leport on a Burns Vibra Artist. 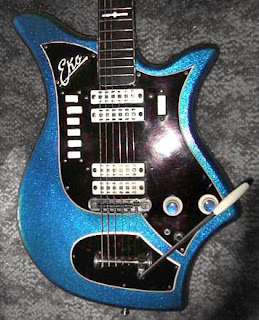 A couple of weeks ago The Moontrekkers re-formed for one night to play 'their last gig' and Gary used a Vibra Artist to recreate 'Vampire's spooky guitar sound. 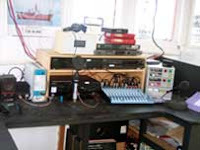 You can see a video clip of this historic occasion on the Joe Meek Society website. Incidentally, the rhythm guitarist, Sam, plays a Burns Sonic and the keyboard sounds are from an authentic Clavioline (the Clavioline was a simple 'one-note-at-a-time' organ famously used for Meek's greatest hit, 'Telstar' by The Tornados, the first instrumental to be No.1 in both the UK and the USA). Hank Marvin fans can access (and download) most of Hank Marvin's recent UK TV and Radio in-depth interviews to promote his recent CD release Guitar Man. There are several references to the early days and even the contentious issue of who really owns the Stratocaster which was used for the original recording of Apache. The UK government has rejected the idea of extending music copyright beyond 50 years, prompting protests from ageing rockers whose work will soon be in the public domain. "The review... concluded that an extension would not benefit the majority of performers, most of whom have contractual relationships requiring their royalties be paid back to the record label," said ministers. US royalties last for 95 years. The government position attracted vocal opposition from some artists. The BBC quotes 63-year-old groovester Roger Daltrey - whose first works will go out of copyright in seven years - as saying that musicians "enriched people's lives", and that they were "not asking for a handout, just a fair reward for their creative endeavours". Other advocates of longer copyright include veteran popster Cliff Richard - for whom the cutoff point is even closer. Tory leader David Cameron is also a member of the extensionist camp. Unsurprisingly, music-industry bodies also felt that free oldie-pop would be bad for Blighty. Daltrey foretold penury for wrinkly rockers, saying they had "no pensions and rely on royalties". He stuck to the position that other eldsters - presumably the people most likely to enjoy their work - should subsidise their retirement through pricier music. Jerry Lordan, probably one of the most underrated British musicians of all time, has been gone now just over ten years - died 24th July 1995. Lordan was signed as a singer to Parlophone and had four charting singles in 1960, the most successful being "Who could be Bluer?". But it was as a writer that he found real fame when he wrote the instrumental, Apache (named after a Burt Lancaster film). This was originally recorded by Bert Weedon but Lordan didn't like the version. Weedon's label, Top Rank, didn't release it immediately. On tour with the Shadows Lordan demonstrated the song to bass player Jet Harris, reportedly picking out the tune on a ukelele. When the rest of the band heard it they agreed to record it. It was released in July 1960 and hit number one in August, staying at the top for five weeks. The tune was recorded by Danish guitarist Jorgen Ingmann who took it to number two in the American charts. The Shadows' version was voted Top Record of 1960 in the NME Readers' Poll. Lordan gave up singing for full-time writing. 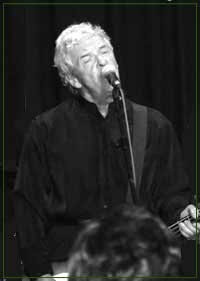 He wrote the Shadows' number one hit "Wonderful Land" and a further number one, "Diamonds" for the ex-Shadows, Jet Harris and Tony Meehan. Harris and Meehan also recorded his song "Scarlett O'Hara" taking it to number two. 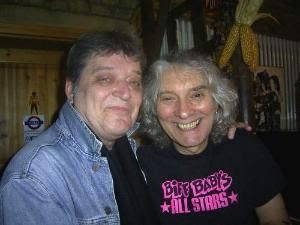 He wrote further hits for Cliff Richard, Shane Fenton and "I'm just a baby" for Louise Cordet. 4. Scroll down and sing along. Don't forget we have some very special guests appearing at the October Club Night. 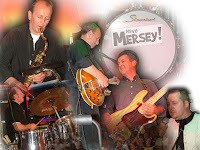 They are Have Mersey - one of the top Sixties tribute bands in Holland. Eric Whitehouse has heard that Alan Harrison died of cancer over the weekend. We do not know of the funeral arrangements but they should appear in the Evening Gazette on Tuesday or Wednesday. 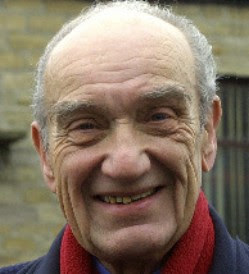 Alan (also known as Rett Allen) was the hugely popular vocalist with the Zephyrs, later known as the Zephrons, who entertained throughout the North East for many, many years. 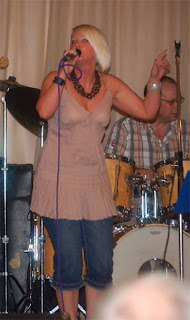 Vintage Sixties Live is a non-commercial project, set up to bring together musicians who worked the NE Club Circuit during the fabulous sixties, and we celebrated our first birthday in style at Tudhoe Victory Club on Thursday 14th June. Alan Leightell (the co-organiser) and myself have been amazed at the incredible success the venture has enjoyed over the last twelve months. has been featured on at least four radio stations. featured performers from as far afield as Australia, Italy, Spain and the USA. A top Sixties tribute group from Holland are scheduled to appear later in the year. a regular audience made up of people from all parts of Durham, Northumberland, Teesside and even North Yorkshire. raised over £2000 for local charitable causes and is currently planning another local Charity Spectacular for later in the year. 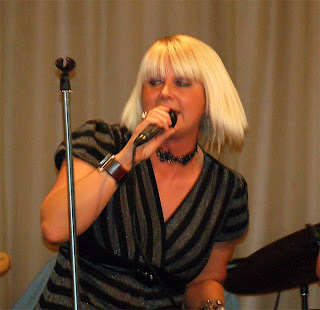 Each month we feature almost three hours of non-stop music with guest performers who travel from a wide area – Consett, Yarm, Tyneside, Birmingham and Italy to name but a few – and represent the whole range of Sixties Music – R&B, male vocal, female vocal, harmony, instrumental, ballad, acoustic and rock and roll. In one hastily arranged group, jamming on stage, I counted at least four local performers whose singles had been released in the Sixties with different acts – and they were all performing together. One night we even had a visit from legendary local drummer Alan White who was happy to jam with his old Downbeats colleagues. One unexpected development over the year has been the way the club nights have attracted the younger element. Several of the performers were not even born in the Sixties but are happy to perform music of that era just to be part of the atmosphere and camaraderie surrounding Vintage Sixties Live and the opportunity to perform to a full house – which is in itself a rarity in clubland these days.